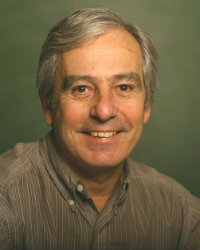 Jay LaVerne, professional specialist in the University of Notre Dame’s Radiation Laboratory and a concurrent research professor of physics, has been named a fellow of the American Association for the Advancement of Science (AAAS) in honor of his efforts toward advancing science applications that are deemed scientifically or socially distinguished. AAAS, founded in 1848 as a nonprofit association, is the world’s largest scientific society and publisher of the prestigious journal Science as well as Science Translational Medicine and Science Signaling. LaVerne’s research concerns the examination of the energy loss, charge and other properties of ionizing radiation and to elucidate the fundamental radiolytic decomposition of molecules and the subsequent kinetics of the reactive transients. Applications of this research are mainly focused on the nuclear power industry, such as reactor water chemistry, separations and waste storage, but environmental and biological radiation effects are also considered. The tradition of AAAS fellows began in 1874, and this year the association is honoring 347 individuals as fellows. Currently, members can be considered for the rank of fellow if nominated by the steering groups of the association’s 24 sections, or by any three fellows who are current AAAS members (so long as two of the three sponsors are not affiliated with the nominee’s institution), or by the AAAS chief executive officer. Fellows must have been continuous members of AAAS for four years by the end of the calendar year in which they are elected. LaVerne will be presented with an official certificate and gold and blue (representing science and engineering, respectively) rosette pin on Feb. 13 during the 2016 AAAS Annual Meeting in Washington, D.C.